UK begins work to integrate next generation Meteor and Spear missiles on F-35. Last year, a pilot from 17 Squadron, the RAF’s F-35 Test and Evaluation Squadron at Edwards Air Force Base, California took to the skies for the first time with UK weapons, including ASRAAM and Paveway® IV. 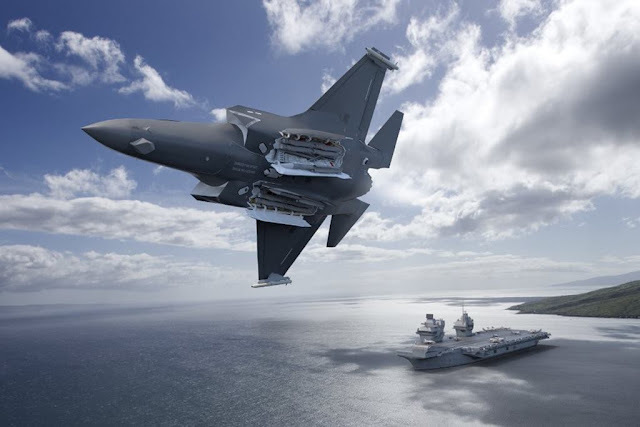 This followed work carried out during the F-35 programme’s System Development and Demonstration (SDD) initial testing phase to develop and certify weapons capabilities by an integrated test team. This team includes Lockheed Martin, BAE Systems, Raytheon and MBDA, working alongside the UK Air Warfare Centre to clear weapons for Operational Testing by RAF/RN pilots.